Then, in a tie-in to the road to “Drowned Earth,” the Titans get a visit from an old teammate when Atlantean mage Tempest guest-stars in the ish. What’s got Garth’s fishnets in a twist? 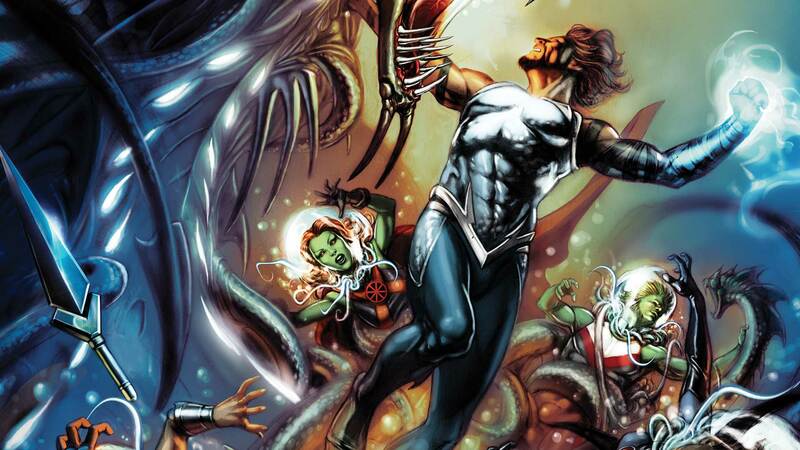 He’s there to help the new Titans lineup take on a major oceanic threat, whose attack comes straight out of the pages of Justice League and Aquaman. Guess you could say that prelude “spills over” into TITANS this month.